If you're looking for a landscape as a wall mural for your home or business, Magic Murals has what you're looking for. Magic Murals has an incredible selection of landscapes to choose from for your home. 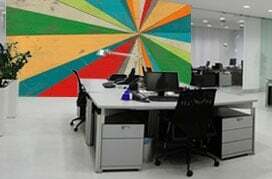 If it's desert or canyon murals, jungle and safari, or even glacier and mountain wall murals, Magic Murals can help you find the right fit for your home or business. We also have beautiful seascape and ocean murals, sky, cloud and sunset murals as well as forest and tree murals. Our waterfall murals are spectacular, and the river and lake murals are particularly divine. Whether you desire a landscape mural that reminds you of spring, summer, winter, or fall, Magic Murals has the perfect landscape wall mural for you. Browse through our collection of tree murals. We have a great selection of aspen, birch, and maple trees, for example, that would be great for a wall mural. Search from tropical trees deep in the forest, to a mountaintop tree blanketed in winter snow. Magic Murals offers breathtaking mountain landscapes and peaceful, serene valleys. If you want to find yourself deep in the wilderness, or among the changing weather, surrounded by lightning or tornadoes, Magic Murals has a wall mural that will fit your needs. A waterfall mural might be just what you're looking for. Magic Murals has a vast collection of the most beautiful waterfalls from all over the planet, from a Thailand waterfall in Asia to Africa to the mountains of North America. Have the Earth's greatest waterfalls on a wall mural in your own home, with the help of Magic Murals. What do you consider to be the greatest beauty of nature? Maybe it is a beaten path beside the lake, a scenic road through the woods, slow-flowing rivers making their way across a grassy valley, fall colors coloring a vast landscape, or a desert scene with rock formations the boggle the mind. If you can find a landscape, Magic Murals can help turn it into a wall mural for you. With over hundreds of landscape images to choose from, you are certain to find the perfect landscape wall mural to fit your interior decorating needs. Magic Murals prides itself in providing you with the highest quality professional images at the lowest prices. Search through our images, or upload your own! Installation is easy, and Magic Murals guarantees a successful transformation of your home or business! Turn your wall into a beautiful landscape! 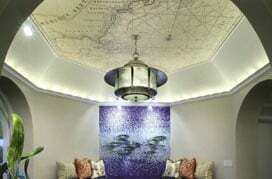 Contact Magic Murals today.